I have heard so much hype surrounding this book and so many people have recommended it to me. It was described as a Mr. and Mrs. Smith action romance and, seeing as I love that movie, I finally bought the ebook from Amazon and dug in. Sarai has been living in Mexico as the prisoner of a drug lord since she was thirteen. 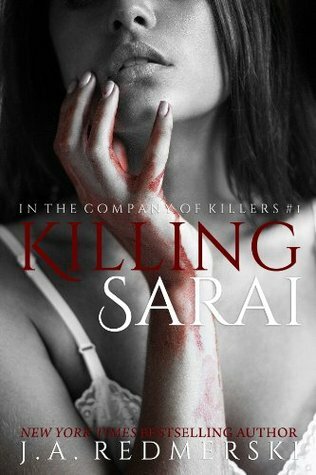 Having forgotten what it was like to be normal, being a prisoner is all Sarai knows. When an American stops by to do business, Sarai finally sees her chance of escape and sneaks into his car in hopes of being saved. Little does she know, Victor is neither American nor a savior. Victor is an assassin hired by her owner to kill an enemy. There's something about Sarai, though, that makes Victor hesitate to continue on in his cold, emotionless life and actually try to save the girl who knows death almost as much as he does. I've got to say, this book starts out slow. Sooooooo slow. And the action is not the action I know and love in my action romances. The action in this book was so anticlimactic and our characters always get out of the bad situations way too easily. There just wasn't enough suspense when the bad guys would catch up with Sarai and Victor and they were able to take them down in an instant. Going onto the romance, this was NOTHING like Mr. and Mrs. Smith. I did not get any chemistry between Sarai and Victor in the beginning of the book so, when they finally got together, I wasn't feeling it at all. I thought they were kind of weird together and didn't buy that either of them really had those feelings for one another. I get that Victor started to question his assassin upbringing and started to have a conscious when it came to another human being, but I didn't believe his romantic feelings for Sarai. Sadly, this did not live up to the hype for me. I think it's because I've read so many good romantic suspense novels that this one just didn't live up to them. I've heard the story gets better as the series continues, so I may have to pick those up and see if the chemistry actually clicks with these two characters.